I always love seeing new collection from Coach. I have several Coach bags and adding one or more will be my pleasure. 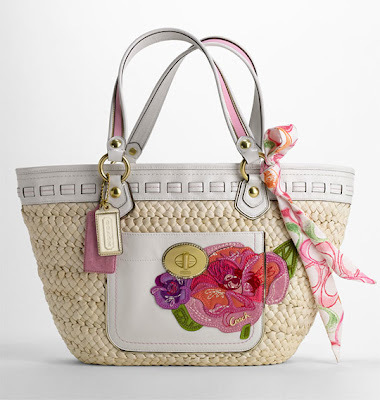 Just saw this Coach Poppy Straw Appliqué Tote over at Nordstrom and I can help myself thinking about summer, beach and everything outdoors. The charming patch pocket, flowers and fresh white woven leather trim make this bag a good collection for any woman who loves bag and Coach.